‘Green Eggs…’ would be an iOS app for tracking backyard chickens through the eggs they laid. Although it is not currently in development, this is an example of both UI design and code. The goal of the app is to make it easy and unintimidating to track a great many data points about chickens, their eggs, the supplies purchased and the people who share the eggs. This data can show illness, molting cycles in specific breeds of hens, help predict coming quantities of eggs, as well as help track the price per egg and split the share of resulting eggs between households. 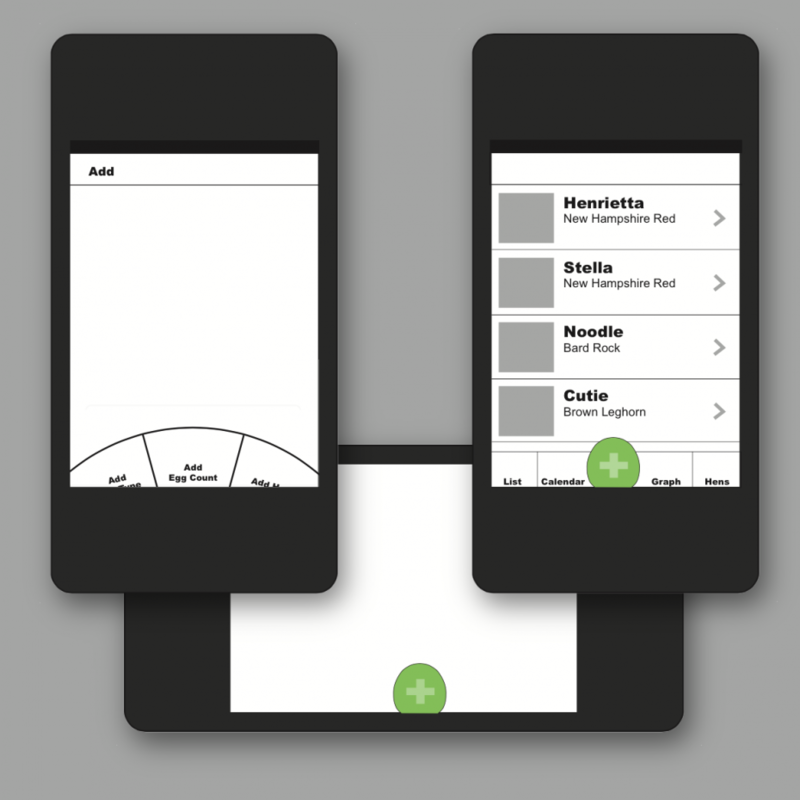 The design goal was to make an app that appears very simple to novice users, but can grow with more advanced and demanding users. Please see the GitHub page below for more info on the graphic design. 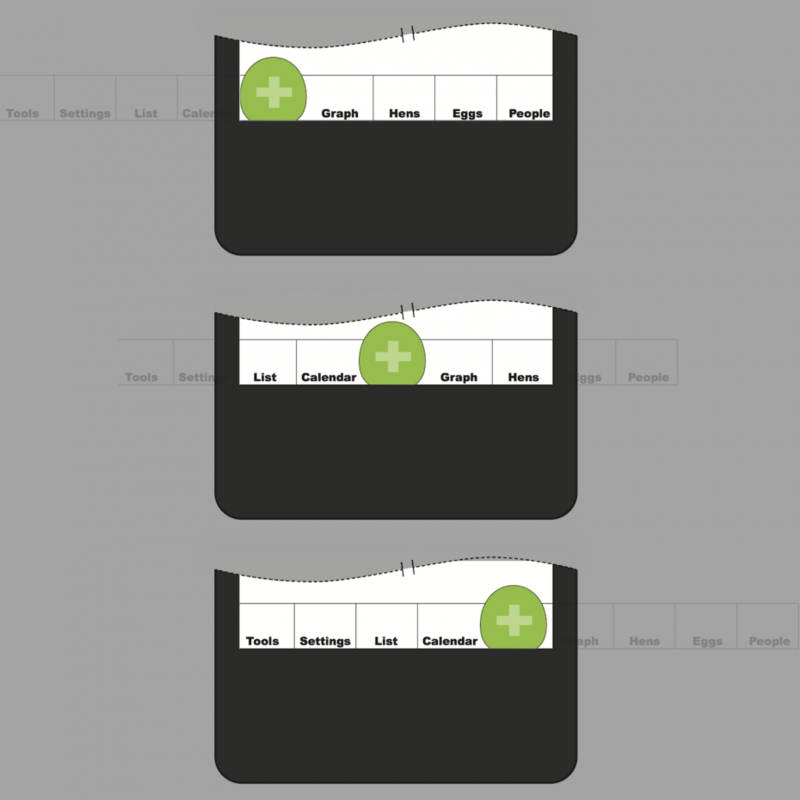 To accomplish the goals I prototyped a scrollable Custom Tab Bar, hiding advanced features but allowing multiple ways to discover the extra tabs. The code for the custom tab bar is published on GitHub and includes more detail on its advantages and features.